I created this Power Point presentation to introduce using rulers to my students. This brief presentation will allow you to guide younger students through the process of taking a measurement, correctly. 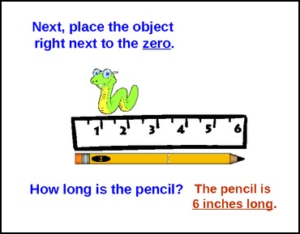 Students will be able to find the zero on a ruler, line up the object, and record the measurement. Check out my Simple Symmetry PowerPoint !